The opening chapter created a ton of excitement! This was needed, because the 3.5 hours that followed were slow, boring, forced and really not needed. It seemed like there was a great story outlined, but Johnson needed filler to make it long enough to be called a novel. It's unfortunate that this book was either rushed, or just not thought out, because Ashoka is one of my favorite characters. Raised in the force by Master Plo Koon and trained and fought directly under Anakin Skywalker, Ashoka is an extremely powerful force user! The new canon on saber crystals was interesting, and as always Senator Organa was a welcomed addition! One timeline question that confused me is that Ashoka is just joining the rebellion, yet Antilles is already a part of it. Rebels has Ashoka already intertwined, and possibly dead, when Antilles defects from the Empire and joins the rebellion. This confused me. As I said in my title, the highs were high, which luckily kept me going, as the last 2 hours was very enjoyable. Ashley Eckstein has a very welcoming voice, probably because we already know her as Ashoka, which added an extra star to my overall review. Just like Aftermath, the inner plot was rushed, and it's a real shame. More meat, less lumpy potatoes. Lol. Give it a listen, but know that only about a third of the book is actually worth it, the rest is pointless dribble. In an era of darkness, kindness is a revolutionary act. After the events of Revenge of the Sith, Ahsoka is trying to find herself and her place in the age of the Empire. 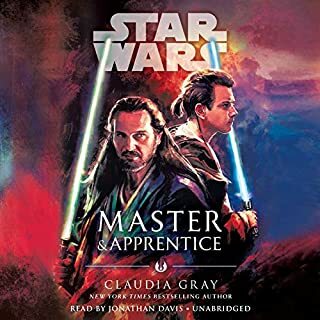 I really enjoyed the audiobook especially since Ashley gets to read her character's story. The story itself plays out like an episode of The Clone Wars. There are interludes like in the Aftermath series, however these actually have something to do with Ahoska or the characters she has interacted with over the years. There are hints that the Empire is working on something big, although it is never directly mentioned. There are also appearances by characters that play an important part in the formation of the rebellion. 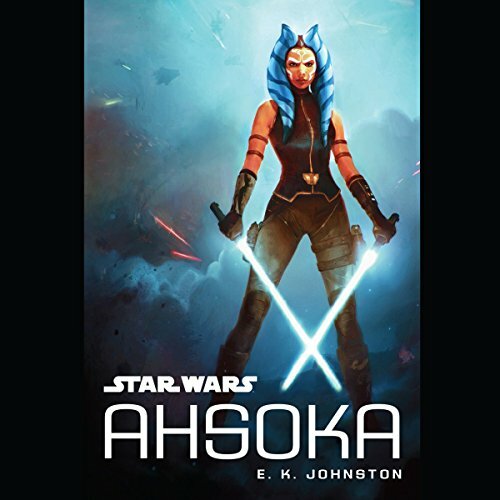 The book leaves open other adventures with Ahsoka which I hope they do. This is probably my third favorite book after Lost Stars and Bloodlines. What disappointed you about Star Wars: Ahsoka? What three words best describe Ashley Eckstein’s performance? She had fun. We can feel that she really liked doing this. That's a good thing. The bad thing is that her range of voices is very limited... so pretty much every characted sounded like Ahsoka. Plus, her narrating shifted depending on what was going on and who was doing what... and it felt weird. The direction wasn't the best. What character would you cut from Star Wars: Ahsoka? Every farmer. Also every chapter that had nothing to do with the story. It felt as if they were added to compensate for the boring story. Prehaps with those cuts they could have taken the time to write more character building around the bad guys. I really like Ahsoka, the character. The book, however, is very bad. I don't understand how it got so many 5 stars... If you've already purchased it, be patient... the story gets a little bit interesting at chapter 25 of 32... but not that much. 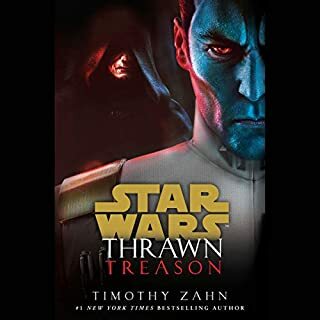 I feel like every new canon Star Wars books (minus Dark Disciple and the Tarkin book, which a great) lack any really depth. 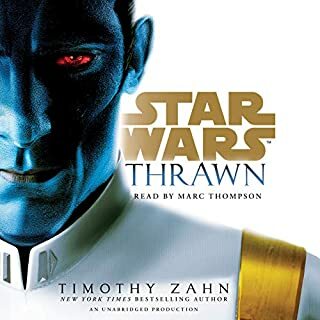 The books seem great for young Star Wars fans but are missing character development and heavy plots like the Thrawn, Bane or Jedi academy book. Ashley Eckstein did an amazing job. The story was intriguing. The music and sounds went perfectly with her voice and the story. Definitely recommend! The fact the Ashely narrates the entire thing makes it that much better because you are literally getting to hear Ahsoka tell her story. Filled with extra small inserts from other well loved characters that I won't spoil but that truly add to the entire story. In my opinion this is a great set up prior to her appearance in Rebels and yes you do finally find out how where she got her light sabers from. There is background music and sound added through out the entire story which really add to a much fuller experience compared to reading through pages. Well done E.K & Ashley. not bad, could have been better. This is a very basic and poorly written novel not deserving of the character it represents. It's almost seems that because the character is a young female they wrote it to appeal only to tweens. No depth whatsoever. 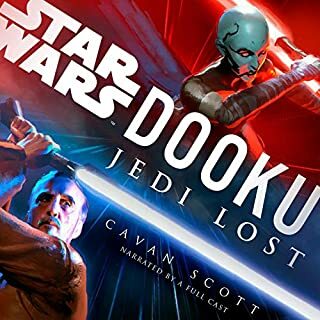 I did like the narrators voice as it is the original Ahsoka from the series but even that can't save it. Young Ecksteins range is very limited...every character sounds the same...and the lack of a strong masculine presence is felt until Sen. Organa shows up. the character deserves the backstory though. 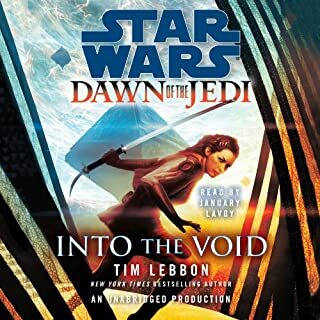 I liked this novel, but I mean I like all Star Wars novels. Ashley did an AMAZING job on the voice acting here. Her voice was easy and soft to listing to. The plot wasn’t as good tho... it felt like the plot wasn’t very exiting and didn’t really lead up to anything special. 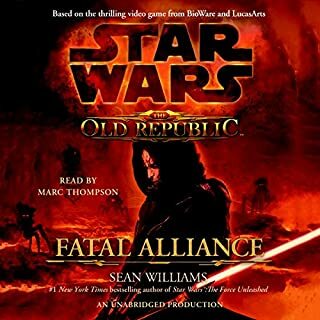 But if you likes Star Wars I definitely think you should listen/read it. I don’t think you will regret it.